With nearly 400 scores to his credit, Ennio Morricone is one of the most prolific and influential film composers working today. He has collaborated with many significant directors, and his scores for such films as The Good, the Bad, and the Ugly; Once Upon a Time in America; Days of Heaven; The Mission; The Untouchables; Malèna; and Cinema Paradiso leave moviegoers with the conviction that something special was achieved—a conviction shared by composers, scholars, and fans alike. 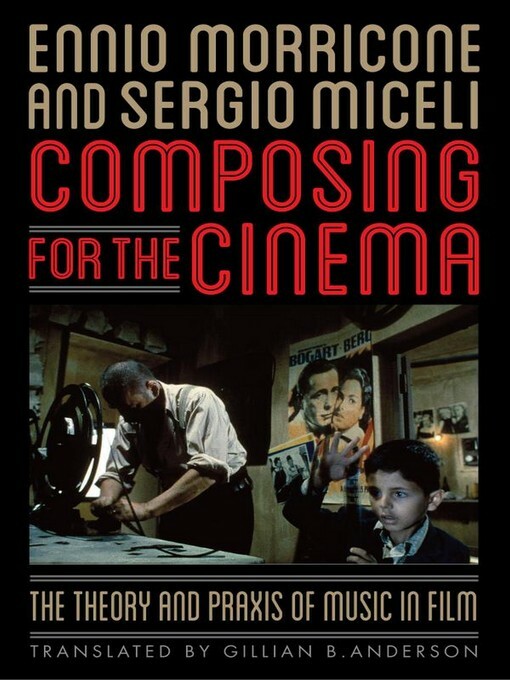 In Composing for the Cinema: The Theory and Praxis of Music in Film, Morricone and musicologist Sergio Miceli present a series of lectures on the composition and analysis of film music. Adapted from several lectures and seminars, these lessons show how sound design can be analyzed and offer a variety of musical solutions to many different kinds of film. Though aimed at composers, Morricone's expositions are easy to understand and fascinating even to those without any musical training. Drawing upon scores by himself and others, the composer also provides insight into his relationships with many of the directors with whom he has collaborated, including Sergio Leone, Giuseppe Tornatore, Franco Zeffirelli, Warren Beatty, Ridley Scott, Roland Joffé, the Taviani Brothers, and others. Translated and edited by Gillian B. Anderson, an orchestral conductor and musicologist, these lessons reveal Morricone's passion about musical expression. Delivered in a conversational mode that is both comprehensible and interesting, this groundbreaking work intertwines analysis with practical details of film music composition. Aimed at a wide audience of composers, musicians, film historians, and fans, Composing for the Cinema contains a treasure trove of practical information and observations from a distinguished musicologist and one of the most accomplished composers on the international film scene.